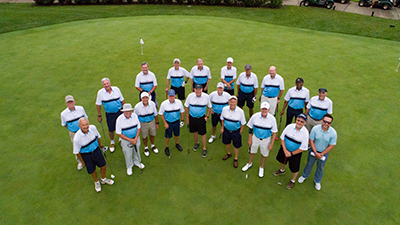 Tournaments, outings, socials—Fawn Lake Men’s and Ladies’ Golf Associations have it all. Here golf is a key part of our lifestyle, and we invite you to take full advantage of our program highlights. Men’s Golf Association: Active March through November, primarily Saturdays Ladies’ Golf Association: Active March through November, primarily Wednesdays Each week, we feature a different format of play. Every ability level is encouraged to participate; all you need is an established handicap. Our club’s professional staff help create equitable teams that make each competition fun and exciting. A small prize fee is collected and then paid out in Pro Shop credit to spend by the end of the year on shop merchandise. 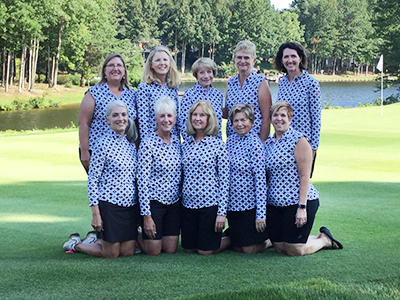 Active mid-April through early September The Mid VA Senior Golf Association is an excellent opportunity to meet new faces and experience playing golf at other local clubs. The association is comprised of 10 clubs from the Mid-Atlantic region. Men age 50 or older who belong to one of the 10 participating clubs in the association are eligible to join. Each team is comprised of 18 players competing in Four Ball Match Play; each match is worth 18 total points. The year-end team record and point totals determine which top four teams advance to playoffs in September. Active mid-May through early August The Virginia Ladies League is a competitive league that includes 10 teams from the Fredericksburg, Culpeper, Charlottesville, and Northern VA area. Fawn Lake Country Club has been an active member in the league since 1997. All Fawn Lake Country Club female golfers over the age of 18 are eligible to play. Each match includes 6 players from each team competing in a Four Ball Match Play (“best ball”); each match is worth 18 points. The year-end team total of all matches determines which teams earn medalist honors at the end of the year. Participating in the league is a wonderful way to meet new friends, experience other local golf clubs, and further your own golf game. 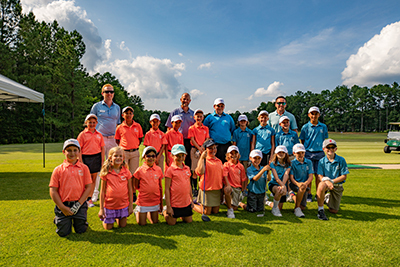 Regular season matches held between April 1 and July 31 The Junior PGA League is a game-changing opportunity for boys and girls to learn and appreciate golf. The program brings family and friends together around fun, team golf experiences with expert coaching from PGA and LPGA professionals. Our leagues focus on the recreational and developmental nature of regular season matches. During the course of one game, teams play four 9-hole matches in a popular two-person scramble format, reinforcing the team concept and creating a nurturing environment for learning golf rules and skills. Coaches can also substitute players every three holes, so that all golfers on each team can participate. At Fawn Lake, members can find many ways to get involved in the great game of golf. Our PGA Professionals plan tournaments throughout the season to promote fun and friendly competition, as well as training clinics for adults and youth interested in developing their skills. Couples can enjoy Twilight Golf throughout the season, which culminates in the annual Couple’s Championship. In addition, several non-club sponsored members’ groups play competitively on a regular basis. 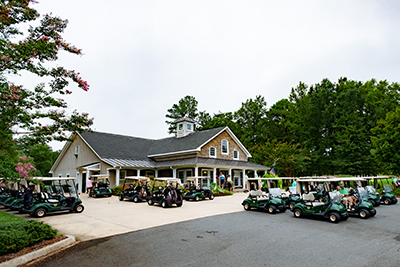 Fawn Lake Country Club is a golfer’s haven. Experience it for yourself! Call to become a member for a day.